The Congress on Tuesday launched a scathing attack on the central government over the arrest of a girl for raising slogans. New Delhi: The Congress on Tuesday launched a scathing attack on the central government over the arrest of a girl for raising slogans. 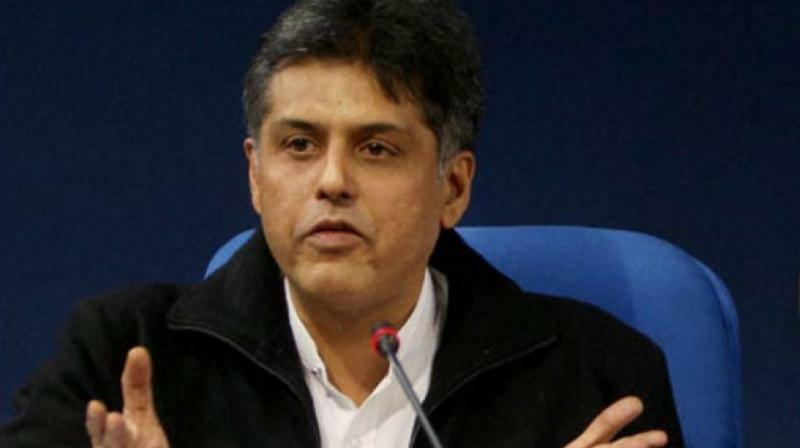 Congress spokesman Manish Tewari alleged that there is an undeclared emergency in the country. Drawing a pattern Mr. Tewari said that it started with the “assault” on students of Film Institute in Pune, and incidents like the unfortunate suicide of Rohith Vemula, derecognition of Periyar study circle in IIT-Madras and “vilification campaign” of Jawaharlal Nehru University are examples in this regard.